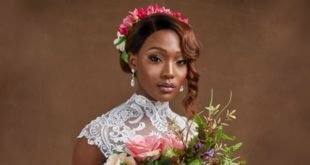 People with fine thin hair often have trouble finding a hairstyle that works because their hair just won’t settle properly with most haircuts, be it layers, curls, or bangs. Let’s fix that! 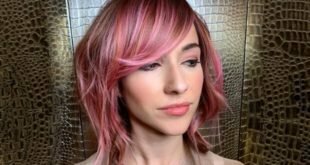 Famous hairstylists reveal that their clients with thin hair always ask for ways to make their hair look more voluminous, thicker, and easier to style. Before we get into the best hairstyles for fine thin hair, lets take a look at how to add volume to make your hair more manageable. Get your hair cut with layers. Layers not only add volume to thin hair but they will let you create many different styles and looks. Make sure to layer your hair according to hair length. 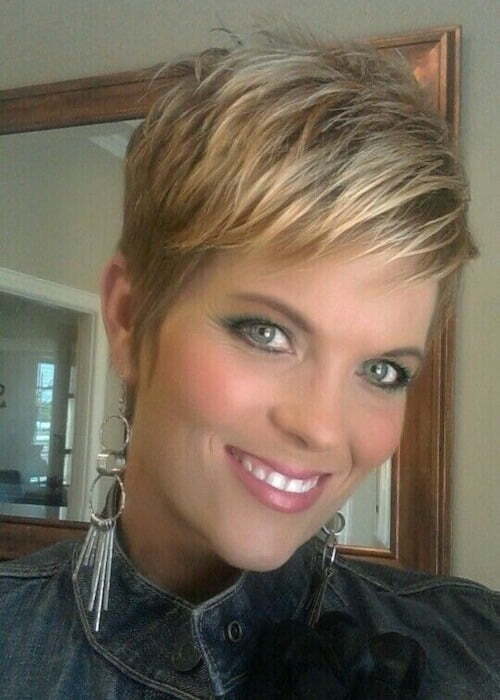 For example, short hair needs shorter layers whereas long hair should be layered with extended lengths. There are also various hair products available on the market that you can apply to your thin hair to gain volume and thickness. Volumizing shampoos are good way to add volume to thin hair. Massage the shampoo on wet hair and let it stay on your scalp for at least 2 minutes or as directed on the bottle. Whereas ordinary shampoos and conditioners leave a residue on hair after rinsing, volumizing shampoos work by reducing this residue that weighs down hair. Use a complementary conditioner for best results. If you have thin hair, the chances are, you’ll get away with shorter hairstyles better than those with thick hair. If you want to flaunt what you’ve got, why not chop your hair into a short, wispy bob to give off a mature but playful aura. Add in silvery highlights over your dark base to add dimension and depth. It’s a great hairstyle to show off your fine hair. Blending in color highlights provides accents for thin hair and adds depth to your fine hair. The result is a trendy feel that looks amazing. 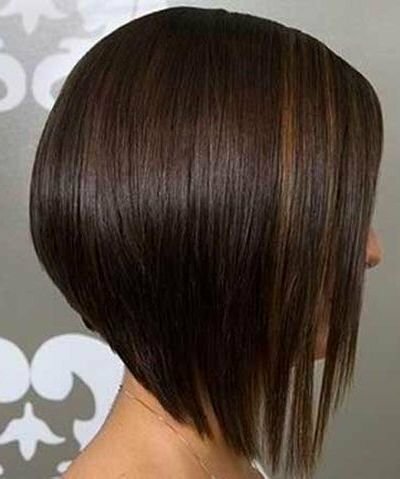 A haircut that features layers on short fine hair gives volume to this bob hairstyle for thin hair. It’s a delicate but perfect cut for this model and is an amazing hairstyle for fine hair. A messy top knot updo is a beautiful way to style fine thin hair. The messiness of the hairstyle creates both volume and interest making it a great choice for women with medium to long hair. 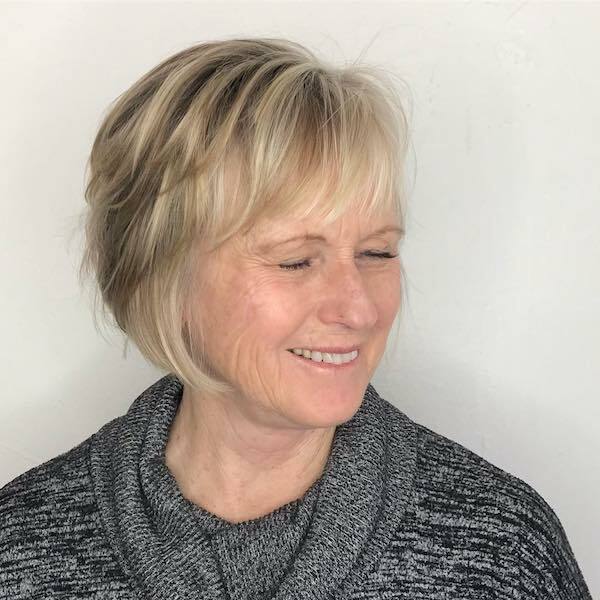 As a hairstyle for women over 50 with thin hair, a layered bob gives the appearance of added weight and volume to your look. If your hair is a blend of blonde hair color, that will enhance the effect. If your hair is a solid color, consider investing in a balayage or babylights treatment as well. Apply baby lights to long cool brown fine hair to add dimension to your hair. Fine hair doesn’t need to be flat hair. Color can give the illusion of volume. 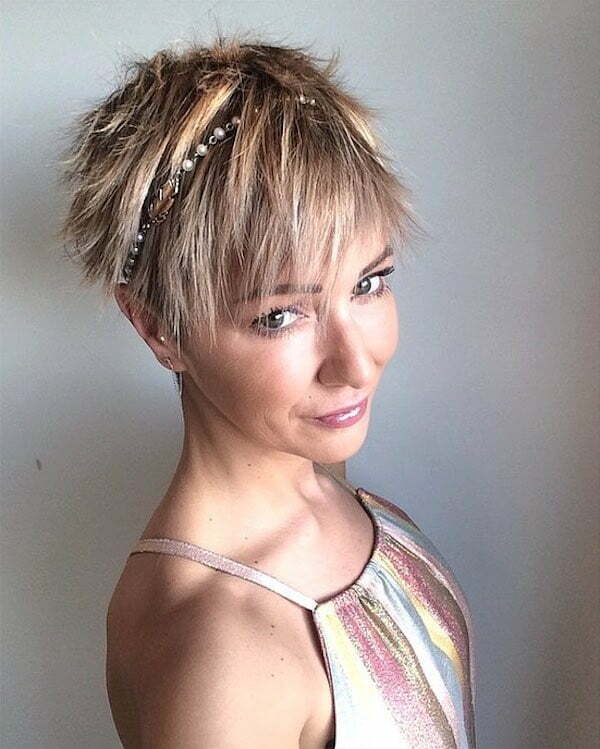 Cutting fine and thin hair into a messy, jagged pixie haircut prevents hair from lying flat. This creates depth, more so with some blonde highlights. Complete the look with a matching beaded headband for and amazing look. If you like keeping things simple and classy, why not go for the straight bob? Complete this elegant look with a curled up style for your bangs during events when you don’t need them. Though this is one of the hairstyles for thin hair might need a little straightening to keep things in order. An ombre hairstyle for fine hair can go well. Why? Because thinner hair can be dyed easier than thicker hair and will require less treatment (a.k.a. damage) to your mane. 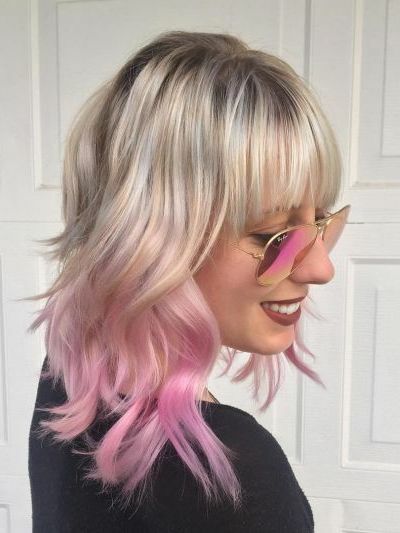 For this spunky hairstyle, have your barber give you a gray to black balayage with a pink ombre. If you want to give your hair more depth and make the colors more appealing, curl it regularly with a curling iron. 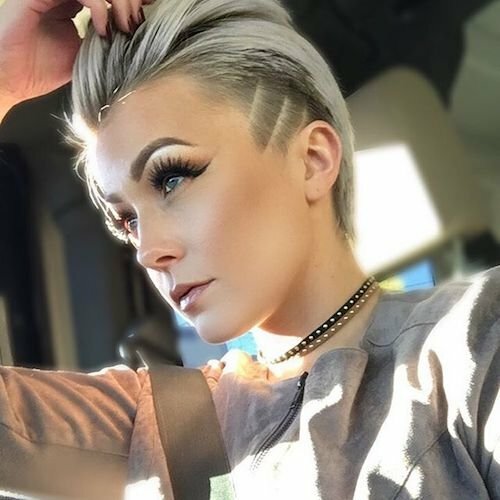 Combining two trendy elements, the pixie undercut for thin hair gives you simple, yet unique look that can surely turn heads. The pixie hairstyle can be great for thin hair since it’s very maintainable, while a short undercut can give you that extra edge you want. Mom look? Nah. This short layered bob for thin hair can give you a more sophisticated everyday look with minimum styling. Wispy hair can also benefit from this look, as it doesn’t require much styling or straightening (maybe just a little bit). This amazing hairstyle is one of the best hairstyles for thin straight hair. 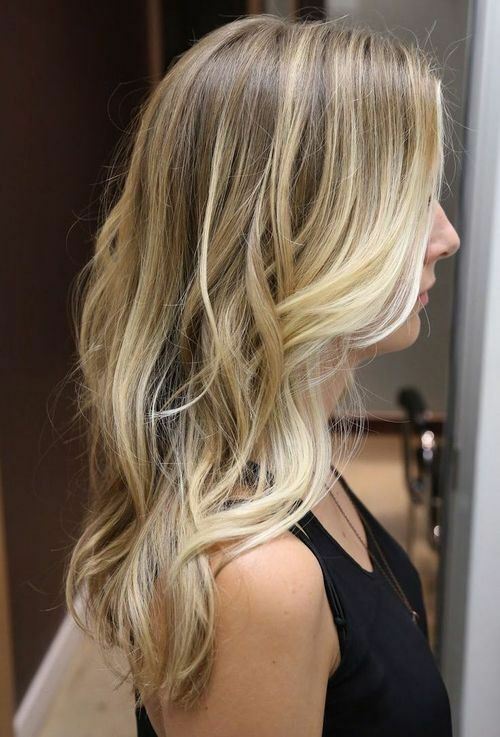 If you are looking for that sun-kissed look, balayage is the way to go. This particular look will work for thin and fine hair since blonde can go well with thin locks and curls are very easy to do on thin hair. Another fine hairstyle for fine hair. As with short hairstyles, long hair can also mask thinness through long, straight locks. 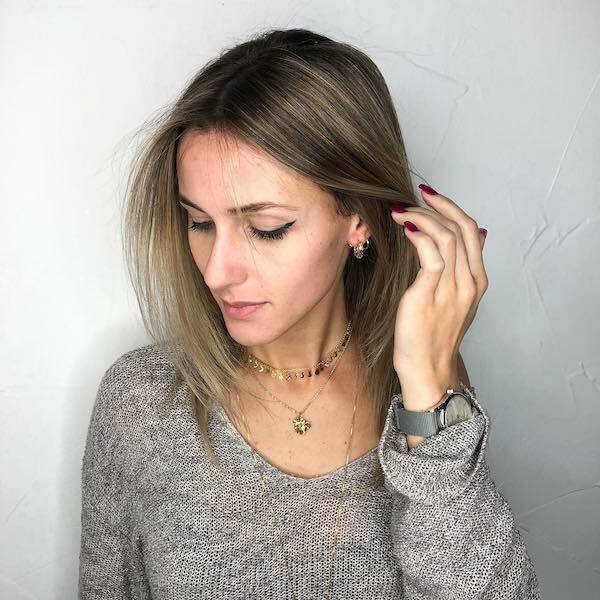 If you want to achieve this hairstyle, get your stylist to give you full bangs and a slight layer, paired with a brown to blonde balayage to top off your look. For more looks see best balayage for straight hair. If you’re looking for an easy, everyday look that gives off an innocent and cute vibe, try this hairstyle instead. 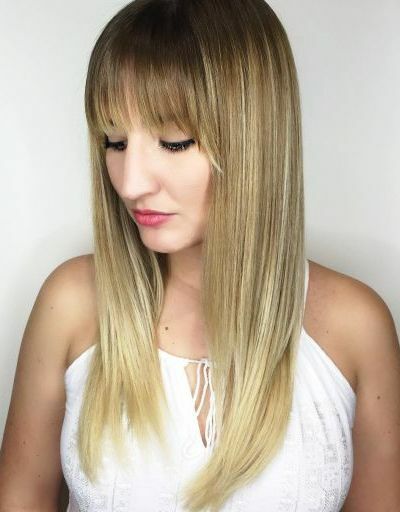 Have your stylist give you full bangs and layers that will frame your face well. Finish off your hairstyle with an effortless bun to keep you looking fresh and simple. Blonde is an easy to do fine hair color, since bleaching can be done for a very short time. Moreover, if you have a center part, an asymmetrical bob with a slight honey undertone dye can make you look simple, yet elegant. Rockstars aren’t the only ones who can pull off this haircut for thin hair. Get all eyes on you with this creative hairstyle: consisting of an undercut and carefully-done fades and lines that you can flaunt everyday. 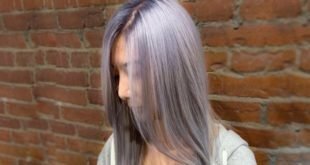 Top it all off with a pastel lilac color that gives you the extra edge. 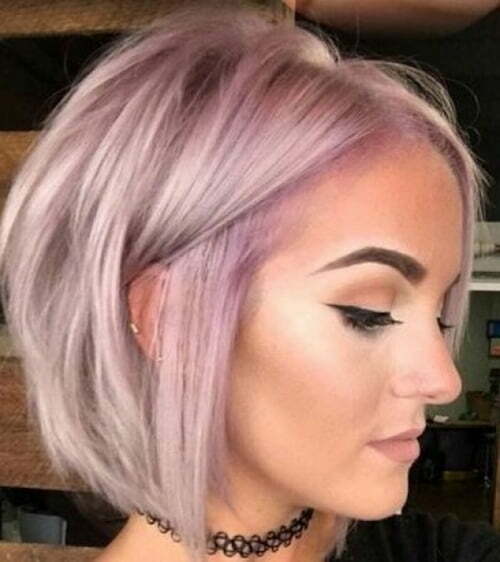 This hairstyle for thin hair just screams color. 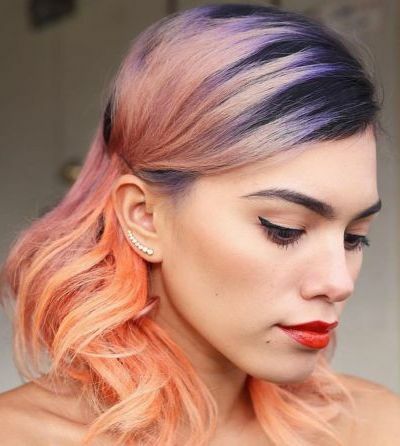 If you can commit to bleaching and dying your hair, this combination of orange, pink, and dark purple can blend well with each other to give you the ultimate color bomb style. However, with thin hair, be wary of the damage that hair dyes can do! 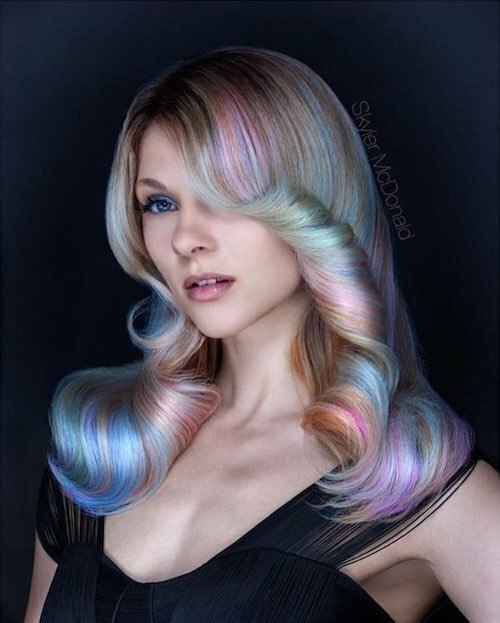 Go all out with the hair dye with this rainbow hairstyle! 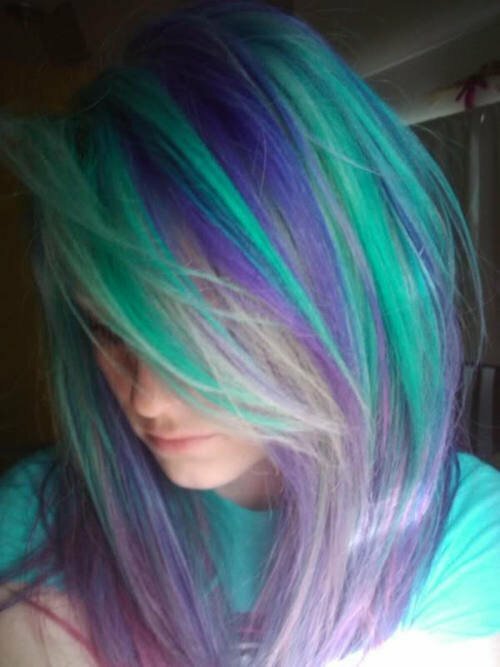 With a talented stylist, you can color your hair with every color in the rainbow and more to achieve this effect. 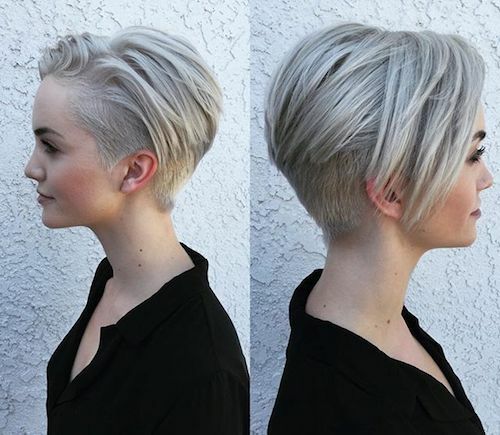 Short at the back and longer in the front; this hairstyle is stylish and trendy both at once. For thin hair, this curly bob can also be a good idea; give your hair more volume to make it appear livelier. Thin fine hair lends itself to wispy looks like this fringe bang haircut. Short bangs can be hard to pull off, but with the right hairstyle, it can provide you with a unique look. 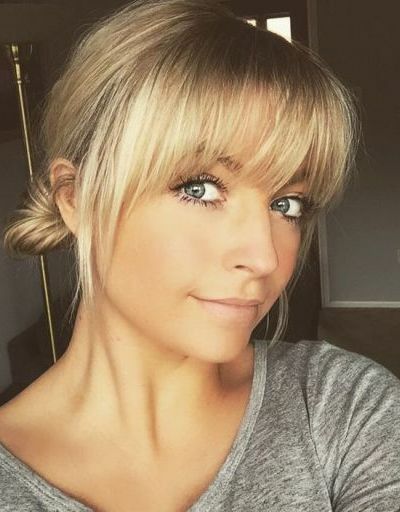 To achieve this hairstyle for thin hair, you can ask your stylist to give you straight bangs that go down to the middle of your forehead, along with a short bob to frame your face well. 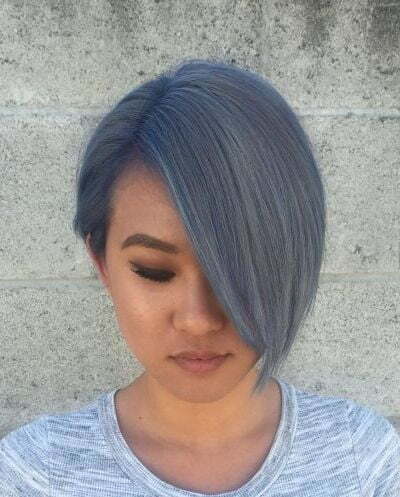 This is another hairstyle that focuses more on hair color. If you have thin or fine hair, bleaching can give you fast and better results as the treatment is minimal. 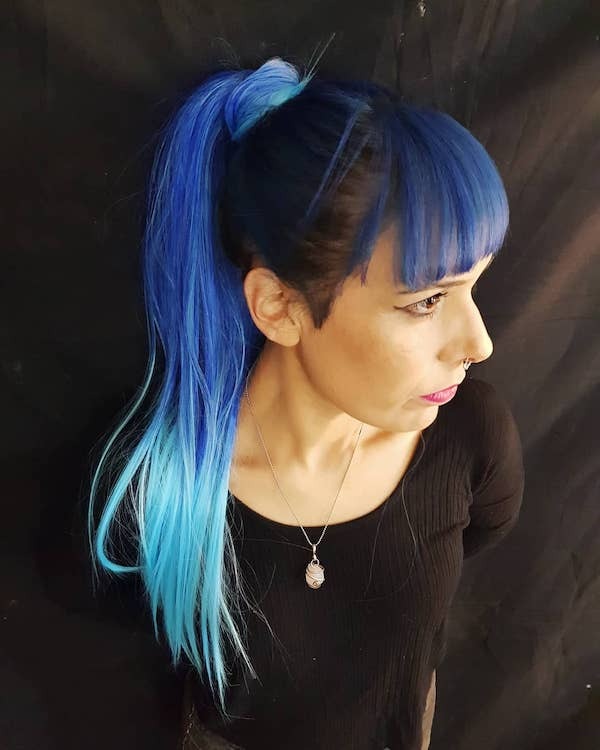 Have your hair get a mermaid look with violet, dark blue, turquoise, and bubble gum hues. It’s no secret that thin hair can have more possibilities than thicker, unruly hair. 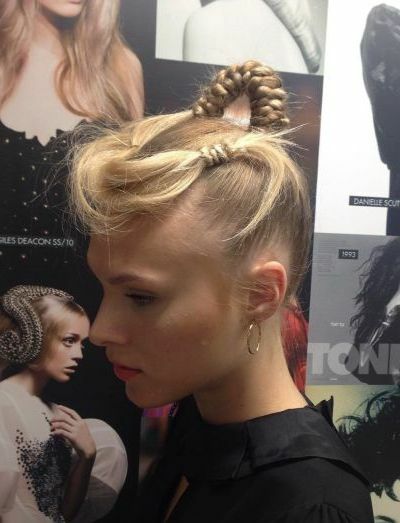 Get your high fashion look with this creative cut, with mid-forehead bangs and colored ponytail. 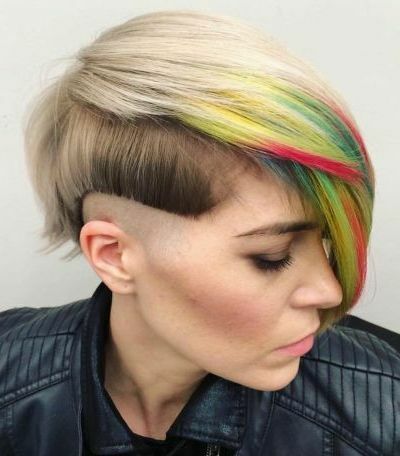 Definitely an unusual haircut and color combination, but if you think you can pull it off, why not? For thin and wispy hair, it can be hard for a hairstyle to work. But with this knotting hairstyle combined with a high ponytail, you can achieve a unique but classy look without making your hair look unkempt. 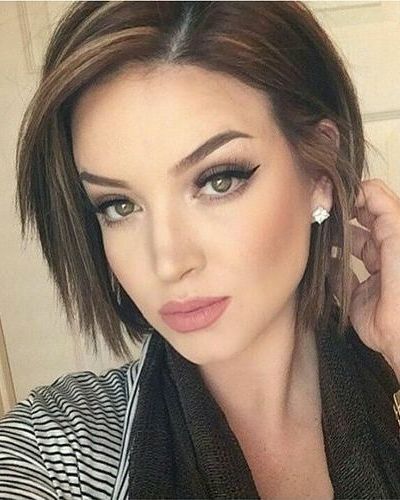 Thin hair usually go well with very short hairstyles. 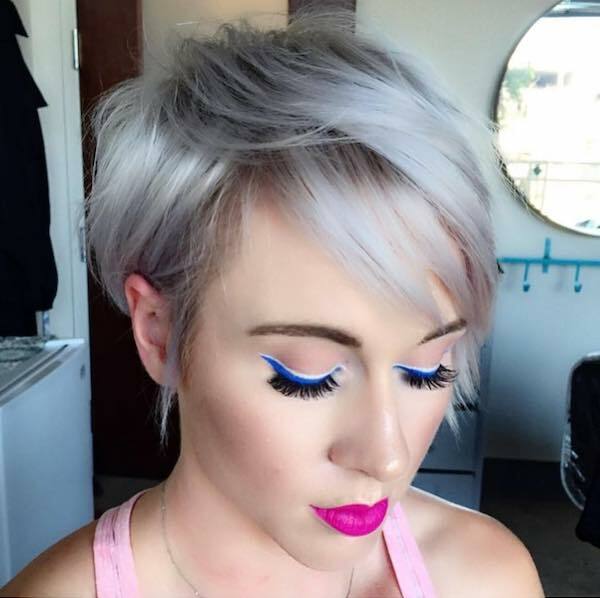 With this look, you can achieve a unique, colorful, and yet spunky image that’ll surely get heads turning. However, a talented stylist is required to give you that smooth fade and well-done rainbow highlights. 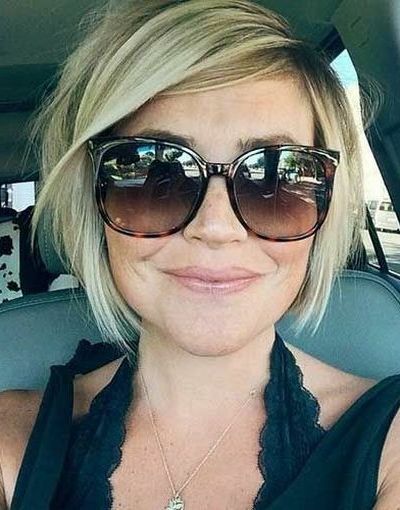 This side swept blonde bob hairstyle for fine thin hair is a simple and fun way to add life to your image while keeping the maintenance low. 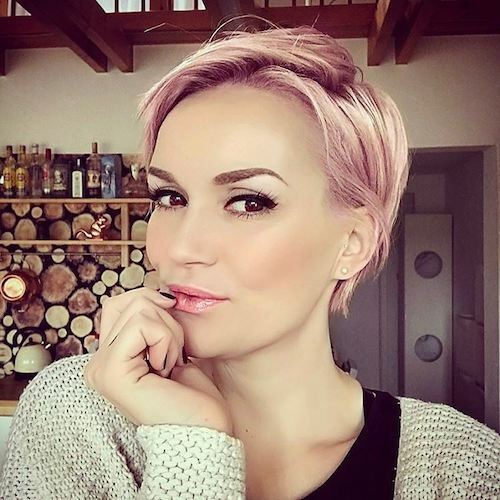 Let this pink pixie hairstyle with pulled up bangs bring some flair to your thin hair. 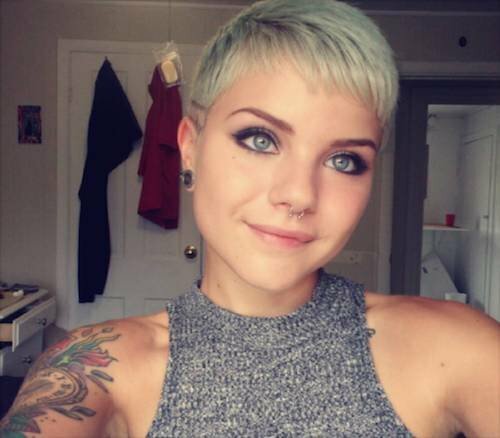 You can great creative with a pixie cut by dying your short mane with a unique color. Pastels are in. So why not go for pastel blues, pinks, or greens? For haircuts for thin and fine hair, you can always go for hairstyles like these. Don’t want to go for a full bob? 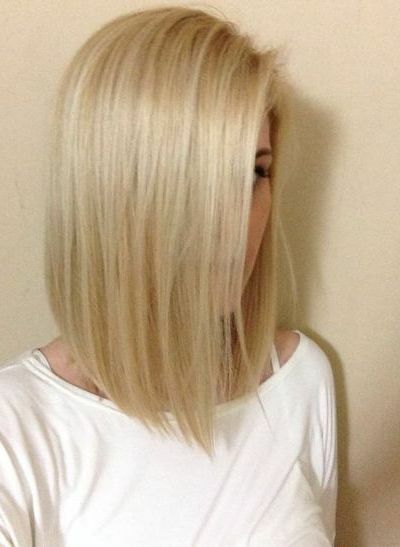 Have your hair cut to a shoulder length lob instead; not too long, but not too short either! A center part is one the best medium length hairstyles for thin hair. It’s a soft and ultra-feminine way to show off your fine hair. Another variant to the pixie cut, but this time, with cute and short bangs! 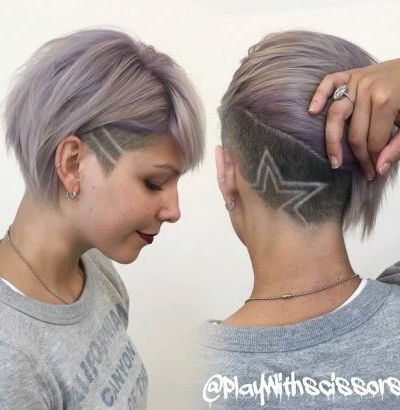 This hairstyle adds the playfulness to the traditional pixie cut and can make you look fun and outgoing without being too serious, if you don’t want to go for the traditional pixie. A talented stylist is required for this hairstyle. 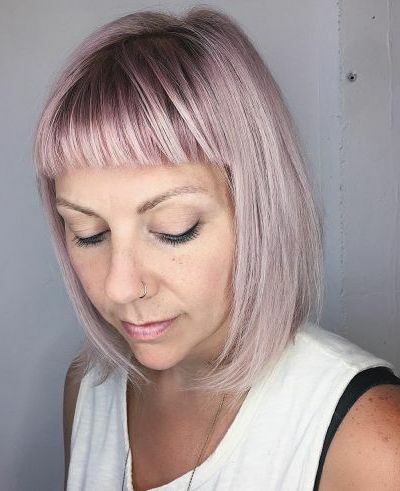 Have your mane cut carefully into an inverted bob, and maintain it to be straight for a classy, youthful look that is easy to maintain and makes thin hair thicker. High fashion always calls for the unusual. Pull off this very unique look and get all eyes on you wherever you go. Like the attention? Give your hair the extra edge with a ginger dye. Want to do more with your thin hair? Try styling your hair into these creative braids. They’re a little bit difficult to do, but for an occasional look, your thin hair can probably pull it off. Have the highlight of the 60s come back with this long hairstyle for thin hair. If you want to give your hair more volume, why not try curling it into long golden ringlets like this style above? Classy and formal, this style is sure to give you an edge with any outfit that you choose. Thin, wispy hair can use a little life brought into it. Have your stylist give you a slight layer cut and you can maintain the voluminous look by using a curling iron to create very slight waves. A very simple hairstyle, but very pretty nonetheless. It’s another great medium length hairstyle for fine, thin hair. I was hoping to see someone close to my complexion, I was wrong. I hope you can add more pictures of more diverse people so others can relate to certain features and see themselves in he picture. Thank you! Fantastic post! Thank you for all the amazing ideas! 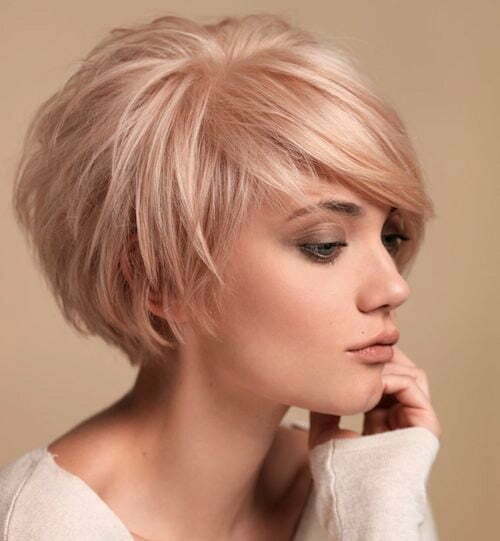 I love the first one, Short Pastel Blonde Bob Haircut for Thin Hair. I’m going to try it this summer, thank you! A lot of the pictures on here are people who have a lot of hair. I was hoping to find styles pictured with fine and thinning hair (as in people with less hair). Thanks, I’ve just been looking for the best hairstyles for fine hair for ages, and yours is the best I have came upon so far. However, there are too many good choices, how do I pick one? Pick a bunch of your favorites, then ask your friends and family what they think. 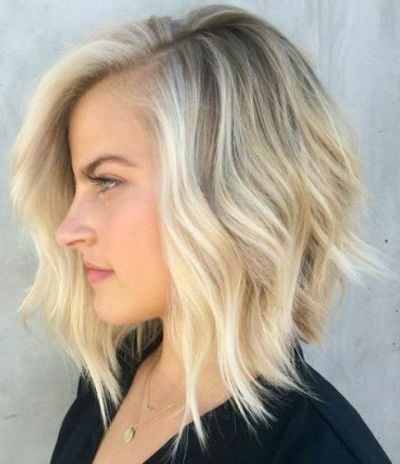 I’m in love with Straight Bob with Pulled Up Bang for Fine Hair. I’m due for a haircut next month, and will give that hairstyle a try. Thank you! This is really helpful. My hair got thinnier overtime and I don’t know why. I am struggling to find the best hairstyle for me. Thanks for sharing this. I am interested in the first hairstyle, but it doesn’t give a description for it. Please let me know what I should ask my stylist to do. 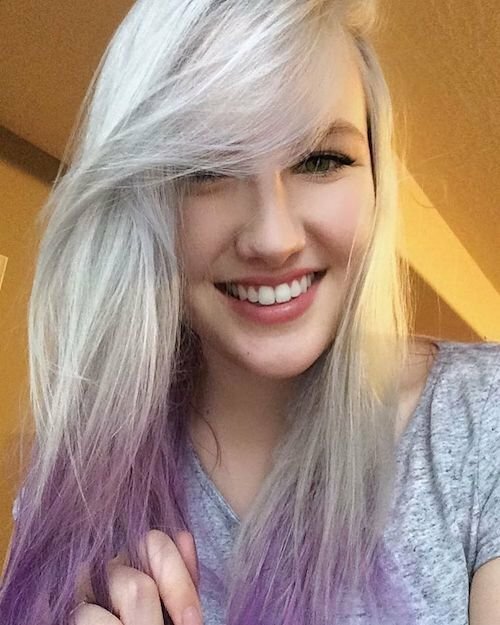 I love the pastel blonde and the haircut! The best way is to bring the photo. Thanks! have many ideas now. Been fighting this since 40’s/50’s. I have really thin hair and a round face and so I never know what to do with it. Right now, my hair is really long and so I am scared to go for a chopped pixie like short cut. How can I know whether or not I would look good if my locks were cut to such length? Have to take the risk. I never really had long hair, but now I am growing it out. Takes some guts, but it doesn’t work out, bald is always a good luck.